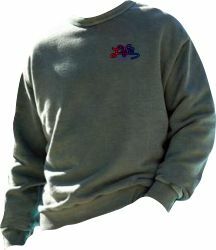 Unisex Crew Neck 100% Cotton Sweatshirt. Life Pass It On Logo embroidered on the left chest. Available in a sanded forest green colour only.